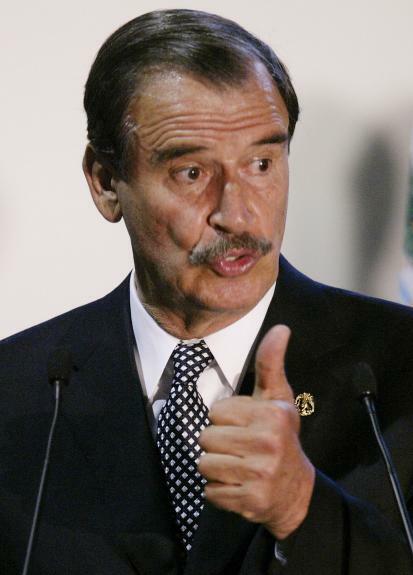 ​Former Mexican President Vicente Fox is joining the chorus of those urging his successor, President Felipe Calderon, to legalize drugs in Mexico, saying that could could help break the economic power of the country’s illegal drug cartels. The comments, posted Sunday on Fox’s blog, came less than a week after Calderon agreed to open the door to discussions about the legalization of drugs. 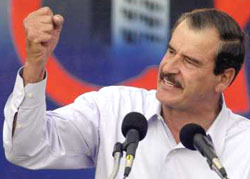 Calderon, however, stressed that he remained opposed to the idea, reports E. Eduardo Castillo of The Associated Press. ​According to Fox, the government could tax legalized drug sales to finance programs for reducing addiction and rehabilitating users. Mexico already eliminated jail time for possessing small amounts of marijuana, cocaine, heroin, LSD and methamphetamine in 2009, giving it some of the world’s most liberal drug laws.